The Korean film industry in 2018 saw a major success and innovation as the country made its first superhero blockbuster film. What’s more, there was a significant improvement in top film categories including action flicks, award-winning spectacles, drama films and period pieces. The most exciting feature about Korean films in 2018 is that there were three major newcomers in the top 15 films. The three new entries were all directed by women. 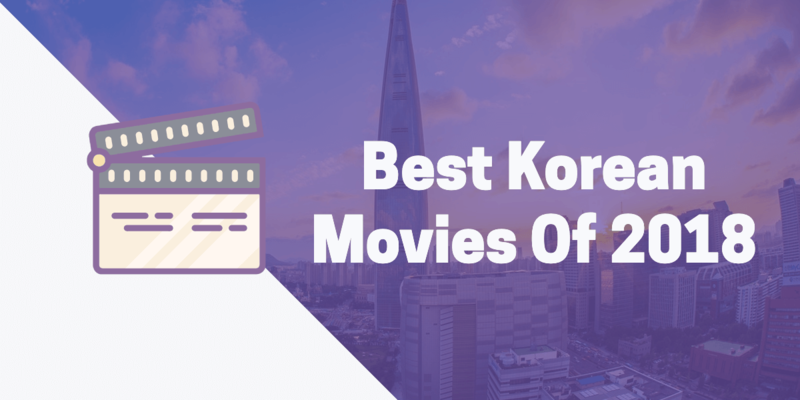 This piece takes a look at some of the best Korean movies, some of which, made an entry into the shortlist for the most exemplary Best Foreign Language Film Academy Award. Lee Chang-Dong is a household name in the Korean film industry. In 2018, Lee Chang-Dong compiled stories from two different countries and eras to produce one of the best Korean movies; Burning. The film has a beautiful contemporary story about three young Koreans Ben, Hae-Mi and Jong-Su. The film focuses on the cinematic representation of modern South Korea. The film is not only sensational but also a quality debut performance that demands repeat viewings. The House of Hummingbird is an epic film that features a beautiful teenage girl who announces an exceptional talent in Seoul Circa in 1994. The film anchors in the amazing tale of an adolescent urge in Korean history, but it is at the same time democratised. Therefore, the film focuses on the girl who is scared by the past and is not sure of the best way to handle newfound liberties. Swing kids is an ultimate film and one of Korea’s exuberant films. The film is theatrical and has an incredible infectious rhythmic tap dance. Therefore, if you love old school Hollywood dance, this is one of the best Korean films to watch. an amazing actor who always reconnects with audiences in the most remarkable way. Keys to the heart is a heart-warming family film. From the creators of the award-winning films, keys to the heart feature Lee Byung Hun, a washed-up boxer and Park Jung Min, a pianist with savant syndrome. The two are united as brothers after a long time where the pianist practised for 900 hours to match his role. The Door Lock is not only one of the top Korean movies 2018, but it is also still widely sought after in 2019. It is a mystery socially driven thriller that switches the role of the main character as the story unfolds. It also offers a compelling and exciting showcase for the other character Gong Hyo Jin. It is a commercial thriller that further employs a clear mis en scene that enhances the modern social edge. Our body is an impressive film, 2018 debut and a major project for Han Ga rams Korean Academy of Film Arts. Being a youth and low budget film, it employs the use of a simple motif hobby to give purpose to protagonists. The film is remarkable as it features Choi Hee Seo, a reticent lead who has a growing and undying interest in her fellow runner’s friendship and physical exercise. The Believer is also one of the best action thriller Korean films. It boasts of glorious scenery and is enhanced by chewing turns of top actors including the likes of Kim Joo Hyuk (who unfortunately passed on last year and his role in this film was the last). Other characters in the film that showcases and embraces eccentricity include; Jin Seo Yeon, Cha Seung Won and Park Hae Joon. What’s more, the believer has heart-stopping sequences and hints of a unique art house technique. It follows an anti-narcotics detective who partners with a gang member to take down one of Asia’s biggest drug lords. The Spy Gone North is one of the good Korean movies with a good budget. It is a North Korea themed film that has a geopolitical theme double talk. What’s more, it is a Korean movie film that is characterised by an evocative and rich tale. The film also offers a complex assessment of the relationship between the people of Korea. It further strikes a deep emotional resonance in the most unexpected places. Her story is a Korean film that depicts the struggles, and the story of ‘comfort women’ during the Japanese war. It is undoubtedly one of the best South Korean movies that talks of the cinematic flashback and focuses on modern ‘comfort women’’ and how they blend their past and future in a drama with a courtroom setting. The film features Kim Hee Ae, a travel agent and ethnic Korean Japanese lawyer, as well as a group of brave women who travelled from Busan to Japan to try to fight and end injustice targeted at women. The film is inspirational and emotional, one that is more likely to bring tears to your eyes. The Little Forest is a top Korean film, a film with some pedigree. It is a story of a hungry young woman who desires real tasty soul food. She is also in search of answers she may not be able to find. The original source of the little forest was done by Japanese manga in 2002, and it was written and demonstrated by Daisuke Igarashi. With time, the little forest movie Korea was slowly adapted into a live action film. Today, it has been selected and readjusted again by movie director Yim Soon-rye. The film directed by one of the best female filmmakers in Korea was released by Mega box, and it was widely sold within its first five days in the market. The Grass is an exceptional film and is first of the 2018 titles by Hong Sangsoos. It first debuted at the famous Berlin International film festival. The South Korean movies film is all about an unlikely alley where people sit and chat in a coffee shop. Outside the café, rubber basins are visible, and they are filled with sprouts that a local worker works hard to maintain them. While people in the café mingle, mix and talk over things that seem quite interesting, the film takes a little while to reveal all its basic premises. However, it is quite notable that there is a pretty lady named Areum who is Hong’s partner is secretly eavesdropping on different conversations while taking notes in her MacBook. She records her thoughts on their conversations until when night falls when they start to leave. She chooses to play a quite guest who is interested in observations and not interactions with other guests in the hotel. The Greatest Battle is one of the latest Korean movies that have an epic historical feature. The action movie is about a great significant battle, the Siege of Ansi Fortress. During the battle, an ancient Korean dynasty fights against thousands of Chinese troops to protect the fortress. The film is also one of the most interesting and exceptionally entertaining top 10 Korean movies, because of the beautiful female blowgun operators. The list of best Korean films would not be complete without the famous Along with the Gods film: The Last 49 days. The Koreas box office film is one of the highest grossing movies of 2018 thanks to its epic fantasy. The film talks of three afterlife caretakers Ju Ji Hoon, Ha Jung Woo and Kim Hyang-gi who must carefully guide a deceased person through many underworld trials. On their way, they meet a god who surprisingly uncovers deep secrets from their past. The story is more on character development, and the last 49 Days adds a more exciting feature to the film with a charismatic performance. This is further enhanced by exciting sweeping action scenes making the movie more thrilling. Do you love films with melodramas? Be With You is a more of Korean romance movie with an amazing plot. Its story is a remake of a Be With You, Japanese movie but it has earned the best adoration than the original film because of the star power of top Korean actress Son Ye Jin and actor So Ji Sub. In the film, the actress plays an important role of a good wife who promises to return to her husband after his death a year later on. In their reunion, all her good memories are gone. Many film and movie lovers find this film interesting because it portrays true love that persists between the couple despite all odds. You will also love the film because it is a true tearjerker. Need a perfect way to watch these fantastic movies? Why not look into outdoor cinema hire, contact us for more details.